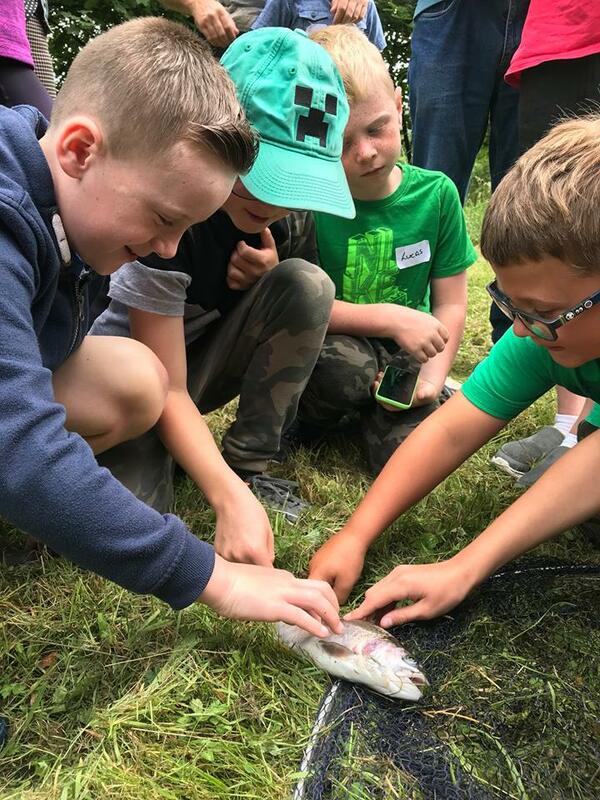 Another group of keen youngsters and their parents joined us for our second Angling Taster Day yesterday. 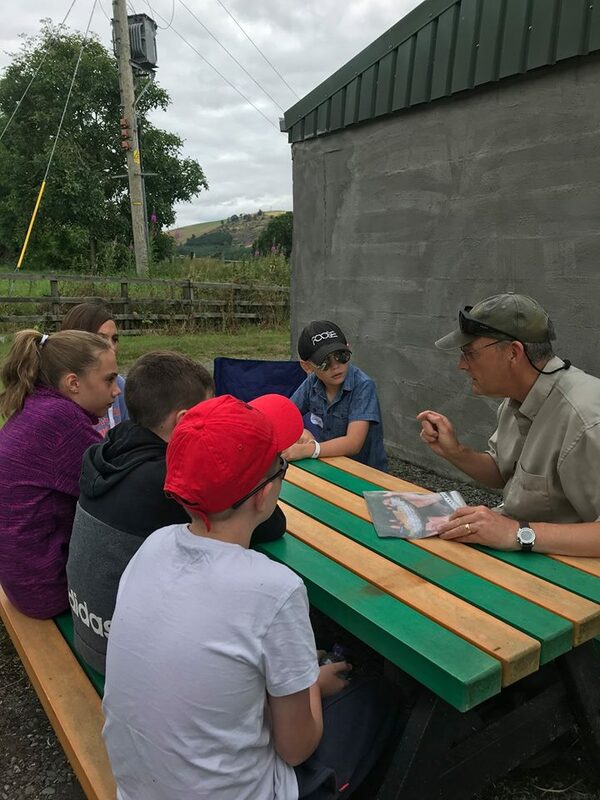 The day started off with Clive introducing the young anglers to the different types of trout you can catch, some basics on how to set up a rod and choose a fly. They then joined Glyn and Derek who showed them how to roll and overhead cast. 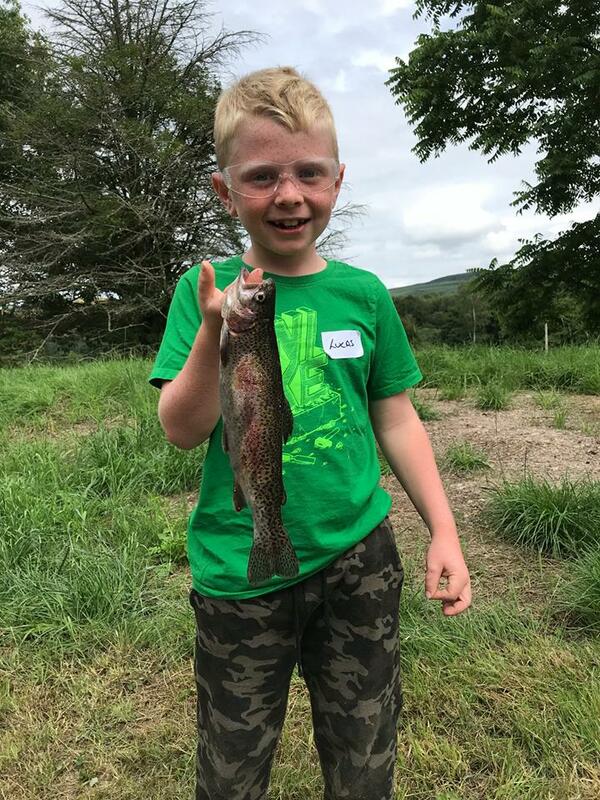 Before we stopped for lunch, Clive had the challenge of catching a rainbow trout to order so that he could demonstrate how to play and land a fish safely and discussed the options of catch and release. 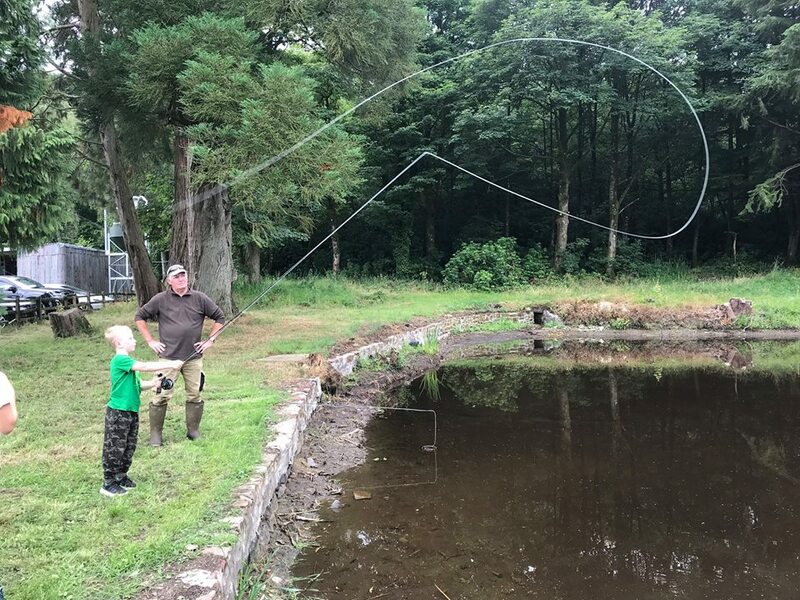 After lunch, everyone had a go at fishing for themselves and it was brilliant to see everyone catch a fish using their new found skills. These fish were all kept due to the warm temperatures and lowering water levels and Jim showed them how to prepare the fish so they could take them home to eat that evening. Everyone really enjoyed the day and many are keen to come back again to learn more. 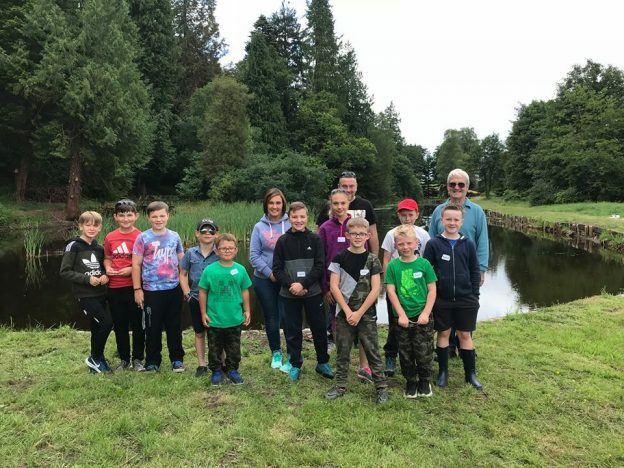 The day was run by staff from the Nith Catchment Fishery Trust and Nith District Salmon Fishery Board and professional angling instructors from Borderlines. 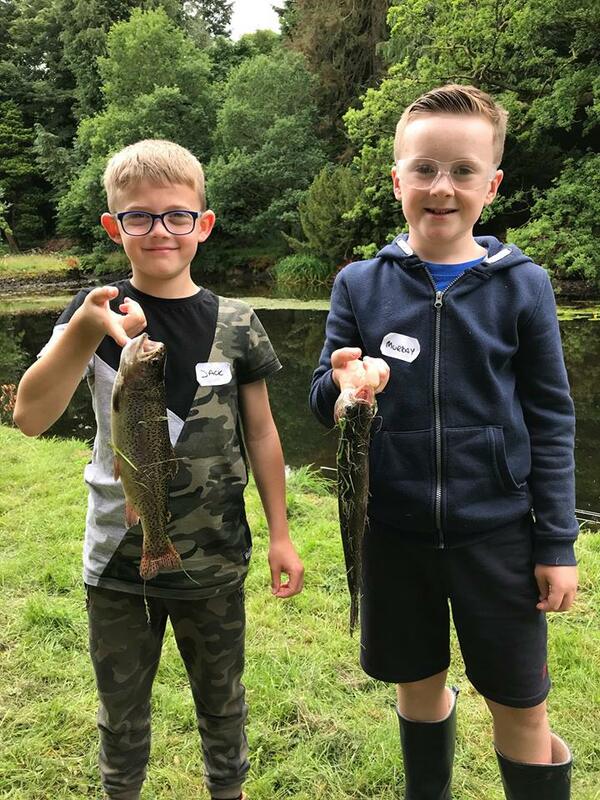 We are only able to provide these days free of charge due to the generous grants provided by The Holywood Trust and Nith District Salmon Fishery Board and the support of fishing proprietors and fisheries up and down the River Nith. 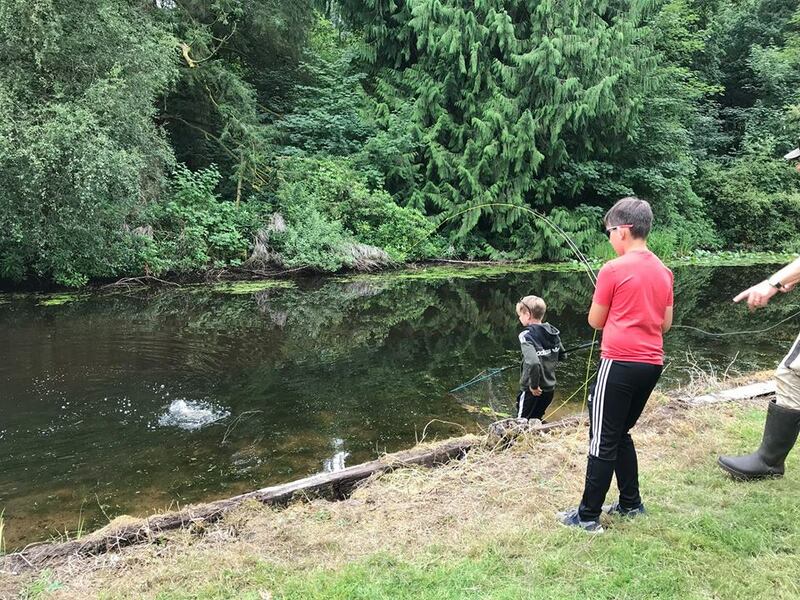 This entry was posted in fishing, fly fishing, River Nith, Scotland, youth and tagged anglingforall, Borderlines, education, environment, family, Fly fishing, Nith Trust, outdoors, River Nith on 26th July 2018 by Glyn Freeman.